Netflix Inc. chief financial officer David Wells will step down after eight years on the job, during which the streaming service grew into an entertainment giant that spends more on movies and TV shows than the biggest Hollywood studios. Wells, 47, will help choose a successor and stay on until his replacement takes over to make sure the transition goes smoothly, Netflix said Monday in a statement. Wells said he’s leaving to focus on philanthropy. Wells guided Netflix’s finances as the company defied skeptics’ expectations of how much money it could spend on programming without going broke, pumping billions of dollars into new TV shows and movies. Netflix’s has budgeted more than $8 billion (U.S.) this year to buy shows from rival companies and finance productions of its own. The growing output helped Netflix boost its subscribers past 130 million globally and upend the TV business. By giving its customers the option to watch high-end TV shows at a time and place of their choosing, Netflix has undermined the traditional pay-TV business and the very concept of live TV. Yet Netflix’s spending has also raised concerns about the company’s financial health. Though profitable, Netflix still spends more money than it makes each year, and has had to sell bonds to finance its programming. Wells’s successor will have to help chief executive officer Reed Hastings and chief content officer Ted Sarandos manage the spending, while facing stiffer competition from the likes of Amazon.com Inc. and Walt Disney Co.’s new streaming service. 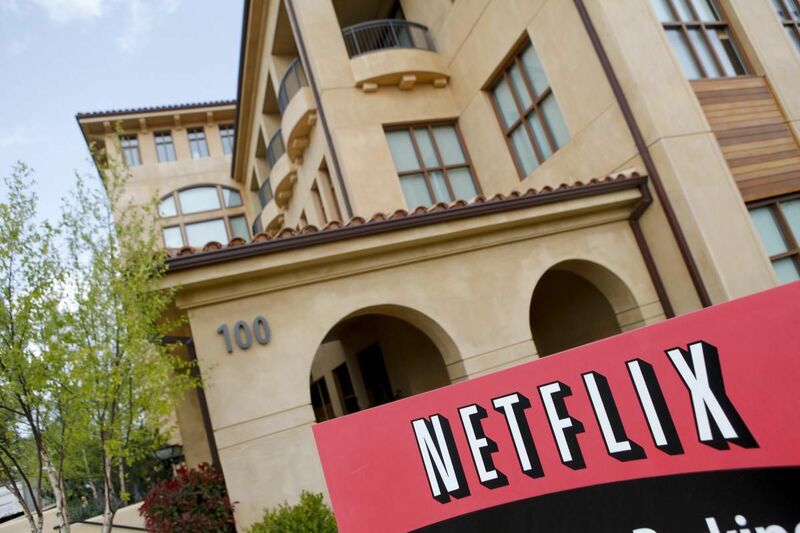 Netflix was still a DVD-by-mail service when Wells joined the company in 2004. He worked under Barry McCarthy, the chief financial officer who took Netflix public. McCarthy is now the CFO of Spotify. Investors largely took the shakeup in stride Monday, with shares trading down less than 1 per cent as of 12:25 p.m. in New York. The stock had surged 80 per cent this year through Friday’s close. Wells won’t be leaving money on the table when he departs. While most public companies periodically give executives unvested equity that’s forfeited if they leave, Netflix awards its top bosses fully vested stock options. Wells’s unexercised securities were worth about $50 million as of Friday’s close, according to data compiled by Bloomberg. Brian White, an analyst at Monness Crespi Hardt & Co., advised investors not to read too much into Wells’s exit, which follows a disappointing quarter. “Given the tremendous success of Netflix over the years and a future that we view as very bright, we believe the company will be able to attract a high-quality CFO,” he said in a note.